In math worksheet on bar graphs students can practice the questions on how to make and read bar graphs or column graphs. Test your knowledge by practicing this graphing worksheet where we will find some of the numerical data is given to us and then we need to represent it by a bar chart on a graph paper. Here, the questions are mainly based on charts and graphs worksheets where the information is given according to the question. Draw a bar graph from the above information. 2. The below table shows the favorites games of 250 students of a school. 3. The following table shows the year wise strength of a dancing school. 4. The following table shows the number of scooter produced by a company during six consecutive years. 7. The following data shows India’s total population (in millions) from 1951 to 2001. 8. The following table shows the interest paid by India (in thousand crore rupees) on external debts during the period 1998—99 to 2002—03. 10. The following table shows the life expectancy (average age to which people live) in various countries in a particular year. (i) What information does the bar graph give? (iii) In which subject is he poor? (iv) What are the average of his marks? 14. 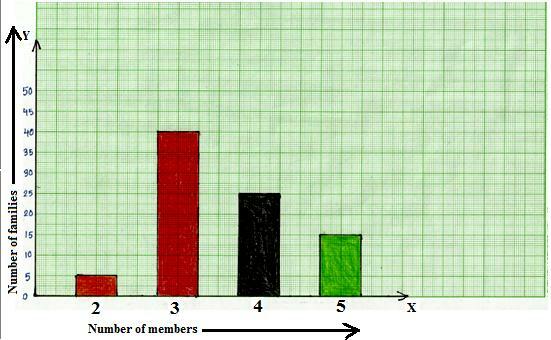 In a survey of 85 families of a colony, the number of members in each family was recorded, and the data has been represented by the following bar graph. (ii) How many families have 3 members? (iii) How many people live alone? (iv) Which type of family is the most common? How many members are there in each family of this kind? 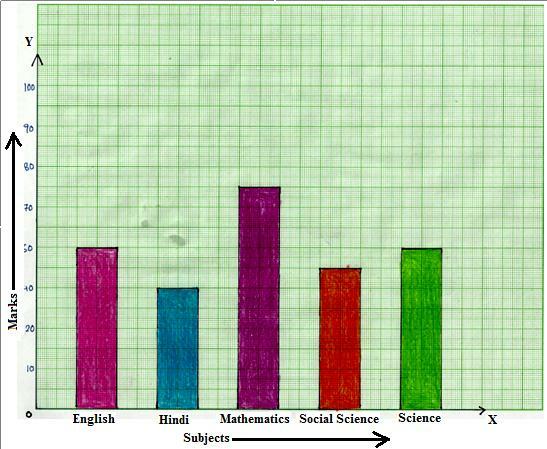 Answers for worksheet on bar graph are given below to check the exact answers of the given questions. 14. It gives the number of families containing 2, 3, 4, 5 members each. (iv) Family having 3 members, 3 members.